Welcome to my fourth edition of Something Creepy Your Way Comes! I just love the holiday season–so festive and merry. There is something wonderfully cozy about a dark, cold night, a fire burning, the smell of gingerbread, and a creepy book in hand. Well the nights haven’t been all too cold. I have no fire burning. And I’m long overdue for a good batch of gingerbread…but I do have a creepy book recommendation. Last month I brought you one of my favorite authors, Edgar Allan Poe. 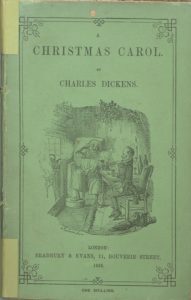 This month I bring you one of my favorite books–A Christmas Carol, by Charles Dickens. Seems fitting. 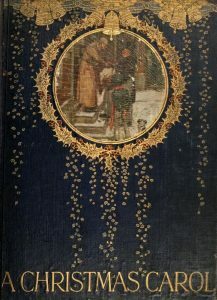 This book is so famous it has been made and remade into countless movies, cartoons, theater pieces, poems, illustrated editions, etc. Even my own novel, Mind Gap, is tribute to this wonderful tale. So my advice to writers is, you must write characters that readers are interested in, become invested in, and want to follow along as they grow and change on their emotional journey. 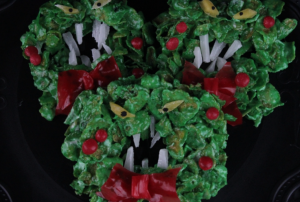 While everyone is passing around the eggnog, the yule log, and the snowballs, you can pass around these tasty teethy wreaths made with cornflakes, marshmallows, fruit roll ups and coconut. At first glance, they seem festively harmless…but a closer look and you discover you had better eat them before they eat YOU! Go ahead! 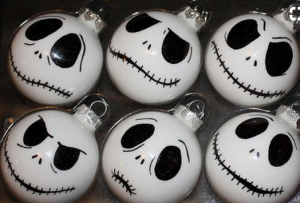 Sneak some creepy bulbs onto that lovely tree. I found these on Pintrest, but sadly the links to the sites were broken. I don’t think they look too hard to create, though. 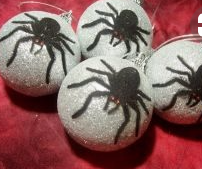 Some white bulbs, black markers and spiders to glue on…you get the idea! We all know Santa comes from the North Pole. 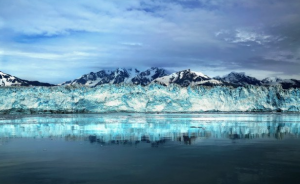 Though the idea of Santa’s workshop filled with jolly elves, smelling of gingerbread and candy canes seems comforting, here are some real scientific mysteries about the North Pole that will definitely alter that cozy image! You better watch out. You better not cry. Better not pout. Well, now I’m going to tell you WHY!! 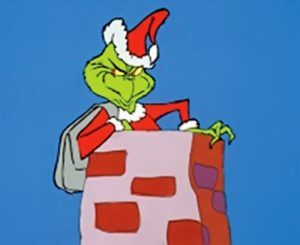 Well, here are some lesser-known creepy Christmas characters that don’t exactly inspire warmth and cheer during the Yuletide season. Many European and Scandinavian legends and lore include evil characters such as Krampus, Grýla, Le Père Fouettard, Frau Perchta, Knecht Ruprecht. 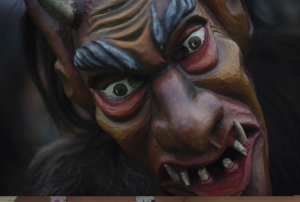 Apparently, parents used these myths and legends to frighten their children into being good. Now, I, for one, do not recommend this tactic and in fact, find it pedagogically barbaric. But yes, even my dear mother spoke quite fondly of good old Knecht Ruprecht. Suffice it to say, my brothers and I thought twice about misbehaving! In writing, I truly believe in being as succinct as possible. I love nothing more than a tight plot that moves swiftly. Well, if the story above wasn’t creepy enough for you, try these four 2-sentence creepy stories…I’m not kidding–each story is only two sentences! 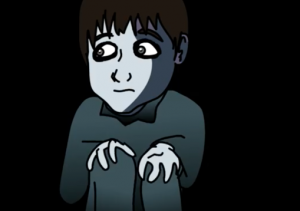 Also animated. 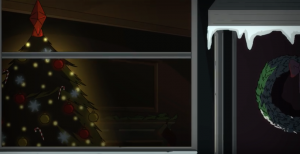 And the Christmas music in the background adds so much to the atmosphere! 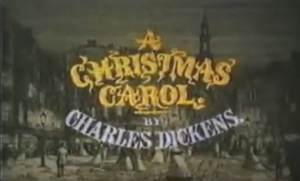 Or, you can always watch an animated version of A Christmas Carol! Thanks for creeping by. If you enjoyed this post and yearn for more frightful fun, check out Spooky September, Ominous October, and POEvember! Wishing you a happy and safe holiday and all the very best for a 2018 filled with good health, great joy, and plenty of creepy books!